The perfect addition to compliment any outfit, the Women's Joules Cassidy Safari Jacket is an essential piece for any stylish lady's wardrobe. Crafted from an easy to wear, breathable fabric, the Joules Cassidy will look fabulous when paired over your favourite Joules tee or vest, for a fashion forward look that will keep you on-trend through this season and beyond! Designed with an elasticated waistband the versatile Cassidy jacket will give you that perfect fit, and also features a chest pocket and two lower button fasten pockets for added practicality. The jacket is finished with Joules signature hare logo for that classic mark of quality. 100% lyocell. 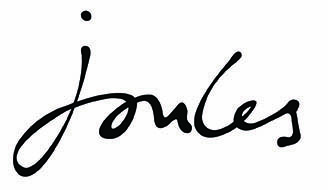 Joules signature hare logo. Chest pocket. Two lower button fasten pockets. Elasticated waistband. This is such a handy 'in between' jacket in a lovely colour. This is the first time I have used this company and am very impressed, not only a good price but I received the jacket within 2 days, so good work! I will use you again.